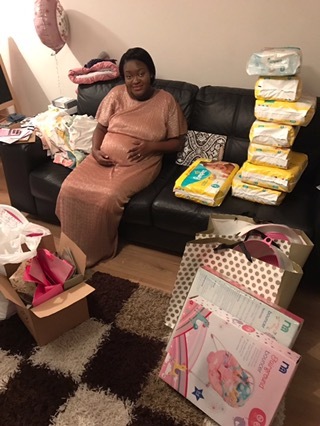 I recently hosted my baby shower, for the second time. Why? Because I’m a self-proclaimed control freak and like to do things by myself. My first baby shower was early September 2011, and my second was late January 2017. Both baby showers were pretty similar: games, food and presents. I had friends and family who offered to help with preparation but I kindly declined as I had preferred they just turned up to enjoy the experience. I had a lot of fun planning my own baby shower and I didn’t want to delegate the fun elsewhere. I didn’t want a big fuss either; just something intimate at home. I knew I could manage that. 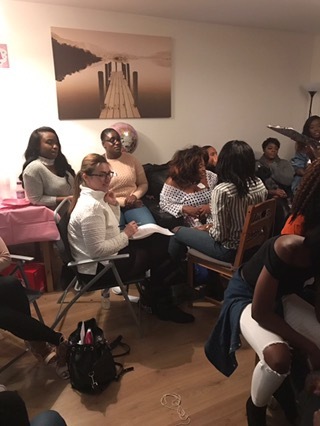 You too may be thinking of planning your own babyshower or perhaps want to give a friend of yours a nudge in the right direction. Don’t stress about it – planning does not have to be overcomplicated. Try to enjoy all parts of the process. Decide on your budget – the cheaper the better. Poundland, Tesco, Asda for some cheap and cheerful decor. You could even design some decor yourself. 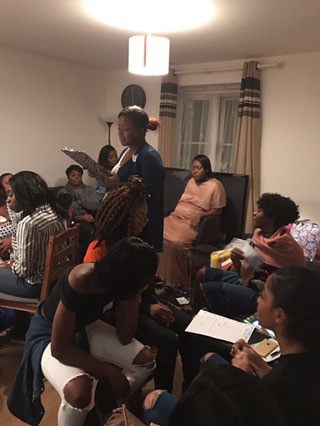 Food and Drink – I cooked most of the food myself this time round, but at my first babyshower, we found a good pizza deal and ordered some large pizzas. As for drinks, Costco is your best friend for buying in bulk. Games – there are hundreds to choose from, but be mindful of your space. Many games can be played seated, whilst others require moving around. You can buy games off the internet, or make them yourself. I opted for both. 1. What’s in your purse? – guests to find items in their purse listed on the answer sheet and tally up their points. 2. How big is mums belly? – give each guest a piece of string and let them guess the circumfrence of mum’s belly. 3. Word scramble – guests to unscramble baby related words on answer sheet. 4. Charades – guests were split into two teams and had turns acting out the charades. I wrote 20 baby related objects and actions on small pieces of paper. By the end of the evening, I was so exhausted but so very grateful for all the love received from family and friends.